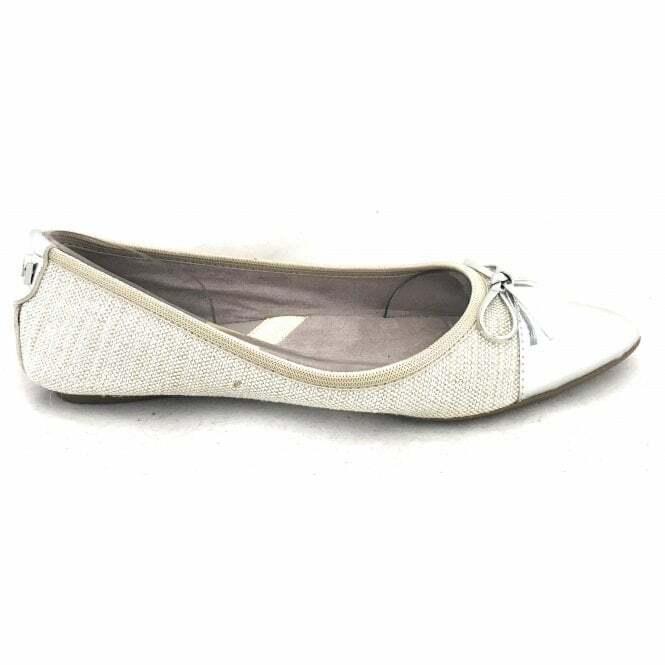 These gorgeous ballerina pumps in cream linen feature a silver metallic pointed toe cap with a feminine bow trim. A faux suede lining with memory foam cushioning ensure maximum comfort. This style is the perfect travel companion for the busy on-the-go woman.